As fossil fuel prices continue to soar, Boeing is looking to accelerate the aviation industry’s transition towards alternative biofuels, taking the reins of an effort to simplify certification standards for biofuels. The aircraft giant yesterday announced it has teamed up with the Ecole Polytechnique Federale de Lausanne (EPFL) to launch the Sustainable Biomass Consortium (Sustainable Biomass Consortium ), a group that will aim to make it cheaper for airlines and other users of biofuels to develop and adhere to effective standards. 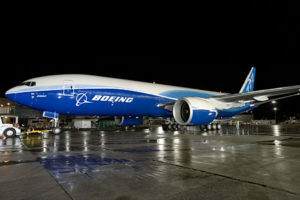 The organisations will work together with environmental groups and governments to “help align regional and regulatory requirements”, Boeing said in a statement, adding that it would also aim to make it easier for biofuel sources to be independently verified as sustainable. “With increasing environmental, regulatory and social pressures on aviation, having harmonised standards for sustainable biofuel development is crucial,” said Billy Glover, vice president of environmental and aviation policy at Boeing Commercial Airplanes. The move comes as a number of regional biofuel certification schemes are beginning to emerge. For example, last June the EU’s Renewable Energy Directive issued guidelines on how biofuel certification should be implemented under that act. It called for guarantees that biofuels should not come from forests, wetlands and nature protection areas, while also demanding that biofuels offer significant greenhouse gas savings. In addition, EPFL’s Energy Centre had already established the Roundtable on Sustainable Biofuels, which focuses on creating global standards for biofuels production. The unrest in the Middle East has contributed to an alarming rise in fuel prices, making it more important for already low-margin airlines to buy fuel from other sources. According to the International Air Transport Association, jet fuel prices are up 11 per cent this month compared to last month, and 47 per cent compared to a year ago. The SBC will begin work next month, and will conduct projects over the next two years in China, Africa, the EU, Latin America, North America and Australasia, Boeing said. The aircraft company is one of a number of firms in the aviation sector currently conducting biofuel trials, including airlines Virgin Atlantic, Air New Zealand, Quantas and Lufthansa.